It’s pretty hard to come up with a radically different design for the humble wristwatch. It’s a design that has been through the paces for more than ninety years, after all. If there is one company that is always pushing the aesthetic envelope in regard to watches, it would have to be Tokyoflash. A quick glance at this blog will prove that this company’s watches seem like they were designed during a marathon acid session in the 1960s by a group of people who had access to 2013 materials. They aren’t just weird in the looks department either. Each one has its own set of quirks that sets it apart from just about every other watch that has ever existed. Here is another one! 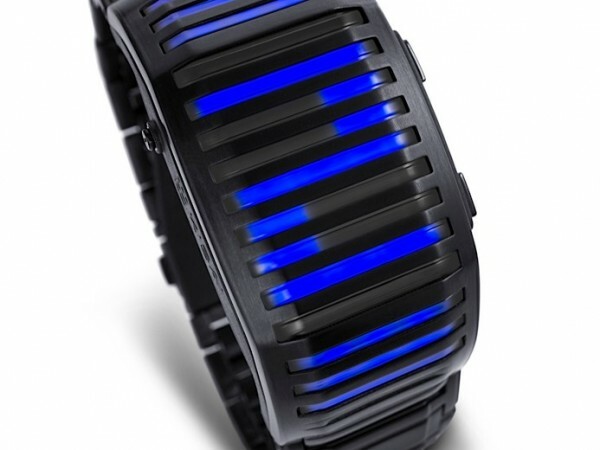 The Kisai Neutron watch looks like something out of a science fiction masterwork, specifically the rebooted Battlestar Galactica. 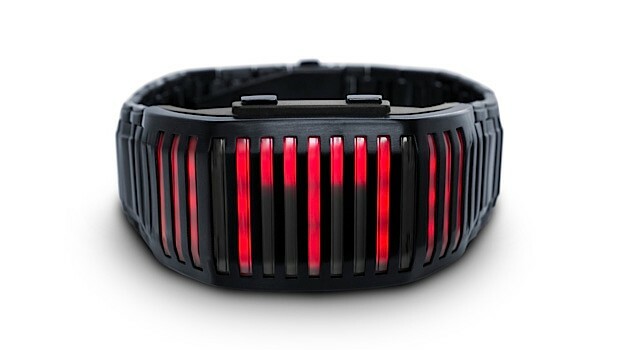 The Cylon-resembling color scheme is not the only cool thing about this watch. It tells the time via LED lights that scroll from left to right as you wear it. It is also equipped with a motion sensor that allows you to set the time, an alarm or your location with a quick wave of the arm. How’s that for futuristic tech? Also, if Cylons aren’t your bag, you can change the LED color to blue. The band also comes in gold, if you are so inclined. The watch is available now at an early bird price of $149. There has been no word as to what the price will rocket up to once the early bird pricing ends, which happens in 48 hours. What are you waiting for?! Here is a video.